Finding a new mascara is something I find a bit of a drag. They all promise so much and to be honest, I find that half of them just don't deliver so lately when I ran out of the Soap and Glory Thick and Fast (which does work well by the way!) I asked one of the girls I worked with what she would recommend for under £10 and just went with it. She recommended the Seventeen Va Va Voom offering for just £6.29, and you know what? I think it may just be the best mascara I've ever tried! Seventeen cosmetics have always been consistently good in my experience so why I hadn't thought to try one of their mascaras before I don't know. 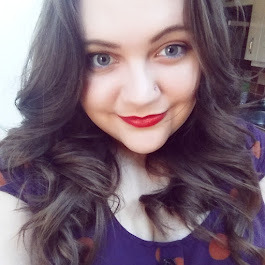 I think it may have been the beauty snob inside me wanting to be using Benefit or Estee Lauder. 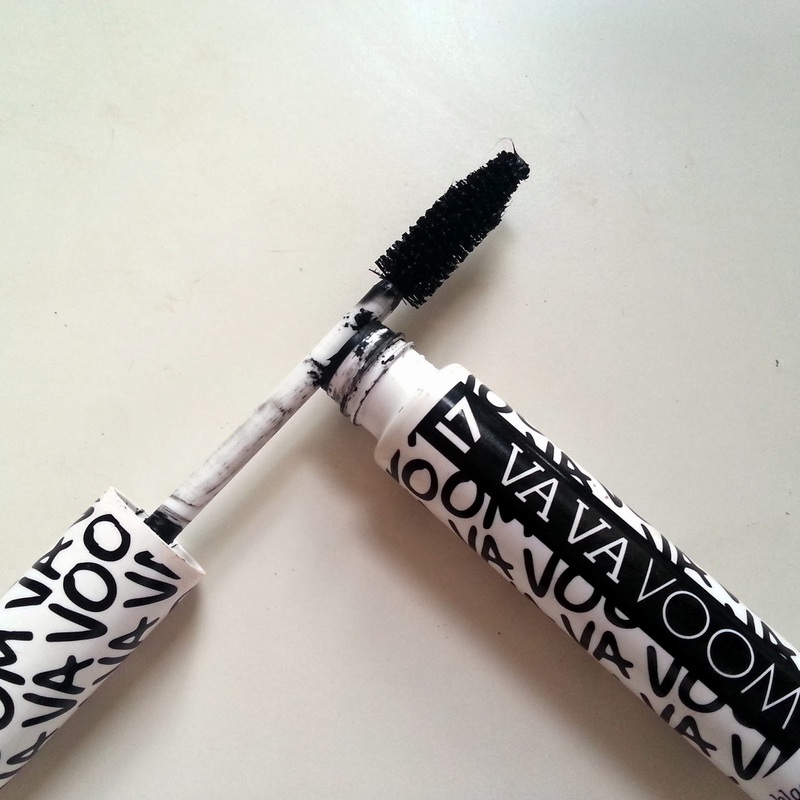 Va Va Voom is a volume mascara that is designed to lift, give definition and give an almost false lash effect. I went for the shade blackest black and with a couple of coats I definitely agree that it lives up to its claims and have actually been asked several times whether I'm wearing false lashes. The brush size is pretty good; nice and big without being too clumsy and the tapered end makes it easy to pick out shorter lashes. It picks up a good amount of product without having to wipe loads away before using it and what I love most is that I have no trouble at all with clumps with this mascara! I don't know whether it's the brush or the formula but it is just so perfectly non-clumpy! I can't make up my mind about the packaging. It's hardly the sleek tube of a high end offering, but it is pretty funky and I like the black and white, and to be honest, I do my mascara in private (no one wants to see the mouth half open mascara face) and this only lives in my drawers anyway so who cares that it isn't gold or curved in an appealing manner! 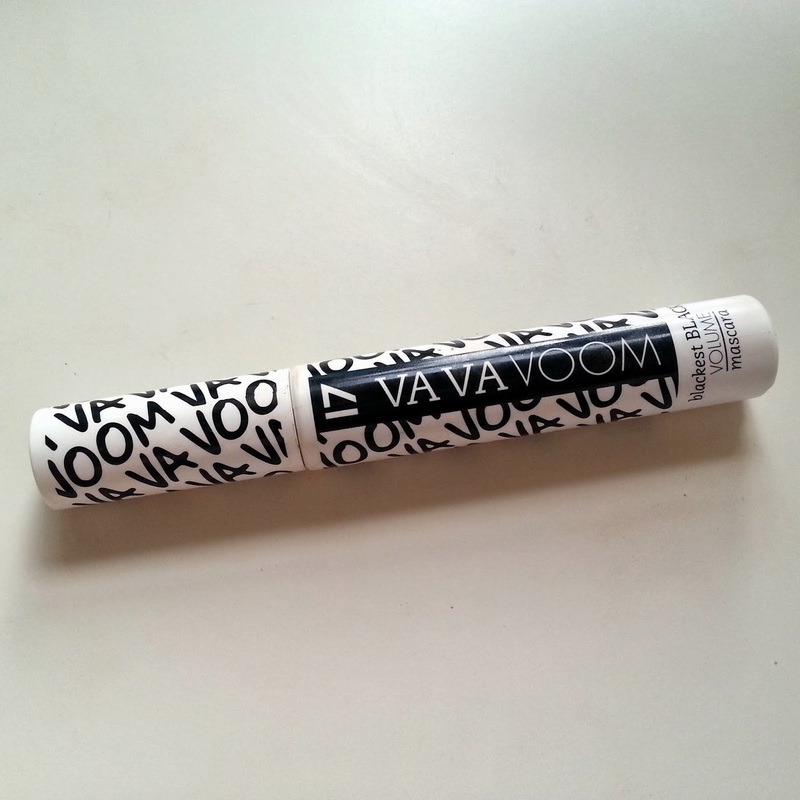 For £6.29 you can't go wrong and I urge you to give the Va Va Voom mascara a chance when you next run out. I'm a convert. Have you tried this before? What did you think? Which mascara do you always repurchase?